Jane Antonia Cornish is at Dimenna Performing Arts Center. Album recording at the beautiful @thedimennacenter #seascapes #newmusic #outsoon @ Dimenna Performing Arts Center 2 weeks 4 days ago. #Repost @cmf_nyc with @get_repost ・・・ We are pleased to present The Clara Schumann Ten. For the first ten days of March we will introduce each, alphabetically. 1. Jane Antonia Cornish is an award-winning composer based in NYC who was Chelsea Music Festival’s very first Composer-in-Residence back in 2010. Jane’s work has been critically acclaimed and includes several award-winning solo albums. We are thrilled to bring her back as a part of this year’s 10th season! @janeantoniacornish #TheClaraSchumannTen #Claradue200 #cmf_nyc #HearTasteSee #WomensHistoryMonth #FemaleComposer #chelseamusicfestival 1 month 2 weeks ago. I’m so looking forward to this! Thank you @cmf_nyc for inviting me to be a part of this wonderful festival again! I was Composer In Residence the first year in 2010, and have enjoyed the festival each year since then. #Repost @cmf_nyc with @get_repost ・・・ For #WomensHistoryMonth, we are honored to celebrate the legacy of Clara Schumann! This June, we are thrilled to feature our 2019 Commissioning Project #TheClaraSchumannTen — a distinguished group of women composers from across the globe commissioned by the Chelsea Music Festival. Pictured top left to bottom right: Jane Antonia Cornish (@janeantoniacornish), Helen Grime (#HelenGrime), Binna Kim (@binnita), @iamjessmays, Santa Ratniece (#SantaRatniece), Kathryn Salfelde (#Kathryn Salfelder), Aigerim Seilova (@avolies), Nicky Sohn (@berliozsgirlfriend), Augusta Read Thomas (@augustareadthomas), & Liliya Ugay (@liliyaugay). 1 month 2 weeks ago. New album 2019 #seascapes 📸 @benbugdenphoto 1 month 4 weeks ago. Award-winning composer Jane Antonia Cornish has already made her mark in film scoring with the music for the drama Fireflies in the Garden, starring Julia Roberts, Ryan Reynolds and Willem Dafoe, and the orchestration for “Once Upon a Dream” for Maleficent starring Angelina Jolie and Elle Fanning, as well as the title song for Big Eyes, starring Amy Adams and Christopher Waltz. 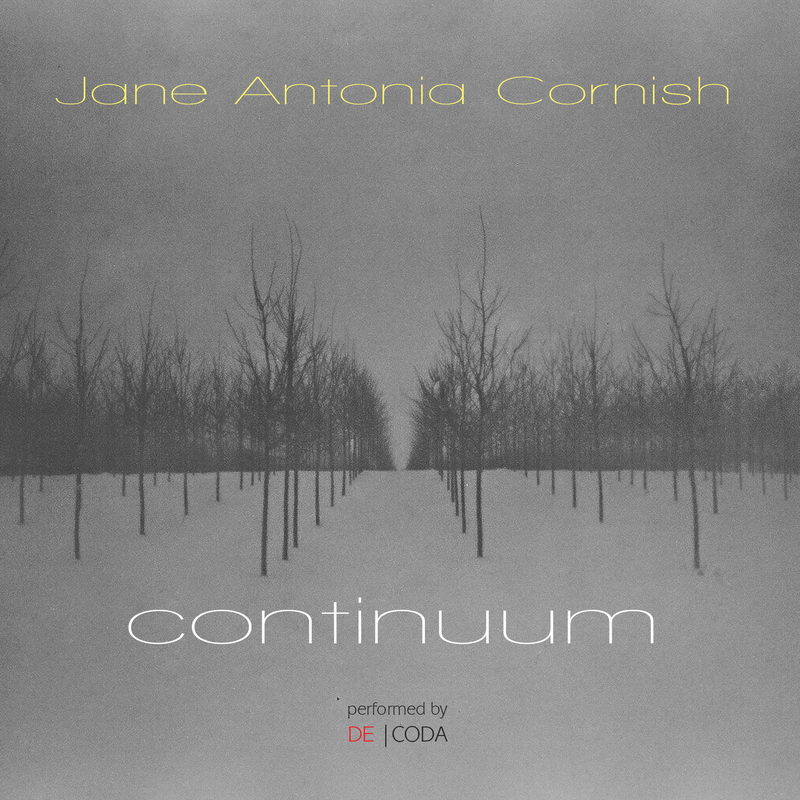 Her new innova album, Continuum, shows her in concert mood, albeit still lush and atmospheric. Performed by Decoda -- the first ever Affiliate Ensemble of Carnegie Hall -- these four world premiere recordings of chamber works explore terrain as disparate as the cyclic nature of the ocean’s tides, our relationship to space and memory, and deep connections to place. The release follows Cornish’s Duende, which the American Record Guide described as “a program of bold, thoughtful, mesmerizing chamber music” -- a description that could apply equally well to Continuum. Cornish grew up in England and now lives in New York City. She was Composer in Residence at the inaugural Chelsea Music Festival and has received a Special Distinction from the ASCAP Foundation’s Rudolf Nissim Prize jury for her orchestral tone poem, Symphony, a Danish Academy Award nomination and a Movie Music UK award for her score to Island of Lost Souls. The International Film Music Critics Association nominated Cornish for Breakthrough Composer of the Year and in 2005 the UK Film Council honored her with a Breakthrough Brit in Hollywood award.